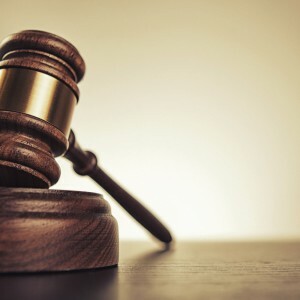 GRAND RAPIDS, Mich. — A federal court has ruled that Christian ministries can hire or fire persons in accordance with their religious beliefs. As previously reported, Alyce Conlon had filed suit against InterVarsity Christian Fellowship (IVF) after she was fired for failing to reconcile marital problems with her husband. She had worked as a spiritual director from 2004 to 2011, providing biblical guidance and leading employees in prayer. Conlon was placed on paid leave to give her time to resolve the issues as she and her husband were considering separation or divorce. Officials with IVF also worked with the couple to reconcile. She was fired in Dec. 2011 after the organization stated that it had “not seen enough progress” between the two in healing their marriage. Her husband filed for divorce a month later. Conlon filed suit against IVF in 2o12 alleging discrimination, and the organization responded by pointing to the ministerial exception allowed by the courts under the First Amendment’s free exercise clause. The federal district court agreed and dismissed Conlon’s claims. She appealed to the Sixth Circuit Court of Appeals. On Thursday, the court upheld the ruling. It pointed to a 2012 U.S. Supreme Court ruling, which declared, “The interest of society in the enforcement of employment discrimination statutes is undoubtedly important. But so too is the interest of religious groups in choosing who will preach their beliefs, teach their faith, and carry out their mission.” Although the high court ruling centered on churches, the appeals court judges ruled that it should also apply to religious groups. Alliance Defending Freedom (ADF), which had filed a friend of the court brief in the case, applauded the Sixth Circuit decision. “No one should be coerced by the government to act contrary to their deepest, historically recognized faith convictions,” he added.